MarketsandMarkets has become known for their exhaustive market research and widespread recognition received in a short span. They are a full-service market research company and business intelligence consulting firm that tracks more than 10 industrial verticals for their well-known clientele. The advanced technology and customization offered by MarketsandMarkets is apparent in their strategically analyzed, full-length business research reports. 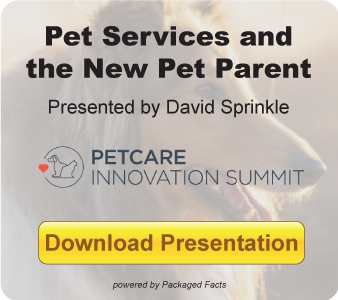 The company also has exclusive plans to track each and every sub-market and revenue pocket of all 10 business verticals in order to acquire detailed information about their current trends and growth prospects. The vast intelligence database available through MarketsandMarkets is evident from the hundreds of high-level market research reports that they produce every year. The ability to carefully analyze huge amount of market data and the automated management of complex industry materials, including forecasting materials and data tables, help the company deliver accurate business research reports for various business domains. MarketsandMarkets takes pride in their distinct researching methodology and delivery model, which include sponsored and syndicated research study along with easily customizable options. Over the past few years, MarketsandMarkets has made a mark in providing market research for a range of different business niches and offers detailed information about the best practices in the industries for competitive landscaping and benchmarking. They help their clients build strong brand visibility through economic forecasting, roadmap analysis, primary interviews and in-depth analysis of vendor offerings from the user perspective. With their commitment to excellence and urge to provide comprehensive and on-hand expertise to customers, MarketsandMarkets vows to provide error-free, full-length, reliable and high-quality industry intelligence to their clients. MarketsandMarkets can provide your company with a comprehensive coverage of a variety of industries. Do you think MarketsandMarket's insight can help you and your business? Check out their current reports. 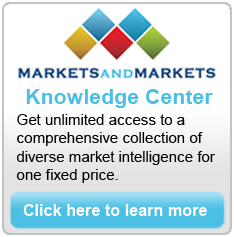 Or, click below to learn more about the MarketsandMarkets Knowledge Center. The blog post is written by the MarketsandMarkets marketing team.